This is a small-sized tomatoes, even though the tomato is fully grown, the seeds are still young, thus green. 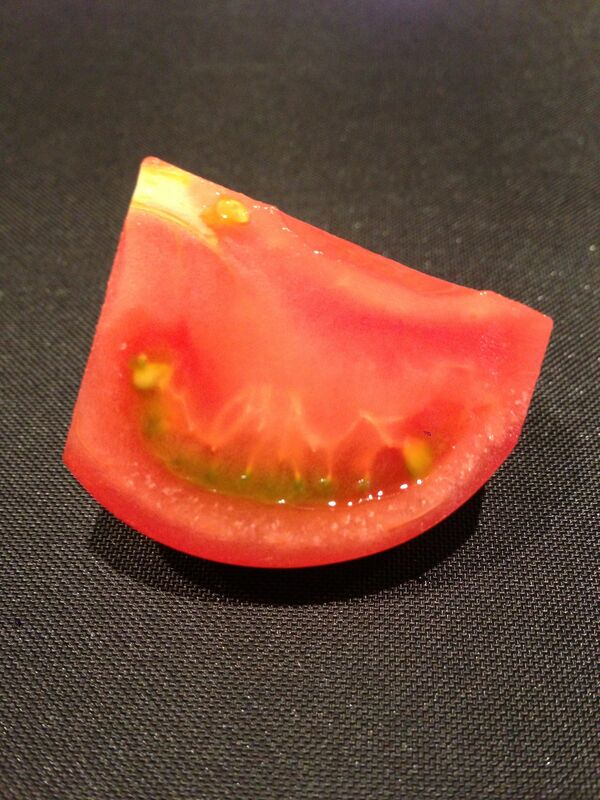 The seeds are green because they contain chlorophill, even when inside the tomato they absorb light for photosynthesis. as they mature the outer shell hardens to protect the embrio and the chlorophill dies away leaving seeds turning brown.